Rooms From: $USD 82.90. Offering a beautiful setting on Grande Bay, Canella Beach Hotel features accommodation with sea, garden or pool views, an outdoor swimming pool and a restaurant. It is less than 2 km from the centre of Le Gosier. Rooms From: $USD 62.34. 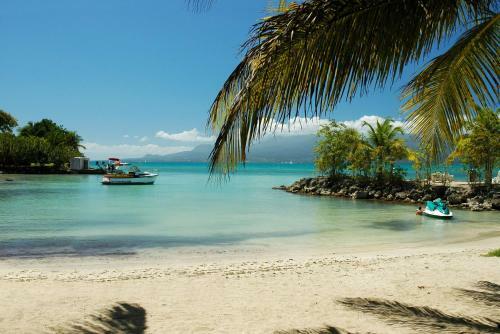 Situated on the Guadeloupe Riviera of the Pointe de la Verdure, the Karibea Hotel Clipper stands next to the most beautiful fine-sand beach in Gosier. Shopping arcade, restaurants and Casino in the immediate vicinity of the complex. Rooms From: $USD 48.64. Situated on the Guadeloupe Riviera of the Pointe de la Verdure, the Karibea Hotel Prao stands next to the most beautiful fine-sand beach in Gosier. Shopping arcade, restaurants and Casino in the immediate vicinity of the complex.